Get Up and Move Club worked together this week after school to clean up our playground. Part of our goal for this club is to instill a sense of pride in ourselves as well our community. 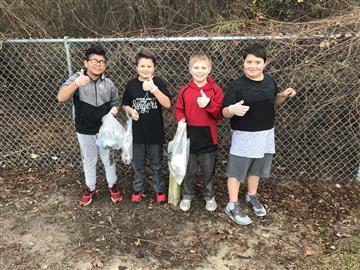 The students did a great job collecting trash and old playground balls now the 4th and 5th grade playground looks better than ever! Great job kids!! Students in Ms. Dickerson's class held a Book "Tasting." Students watched book trailers to preview the book options for book clubs that we will begin next week. 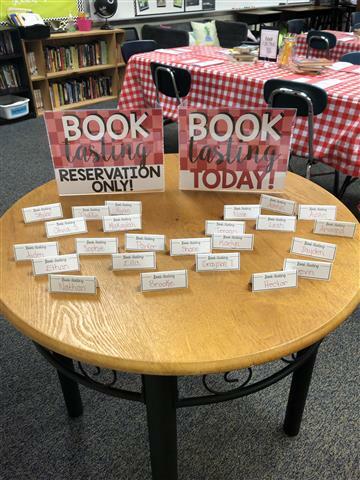 They then looked through each book and completed a "Book Tasting" activity in order to rank their top 3 choices for book clubs. Mrs. Pairan's class for Reindeer Day we played Rudolph’s red noses( a math game), read about Reindeer adaptations in our scholastic, and did a Reindeer story and craft! Mrs Gilchrist’s first grade class and the other first grade classes are learning about Cultures Around the World. Mr Igor taught the students about his Russian culture. 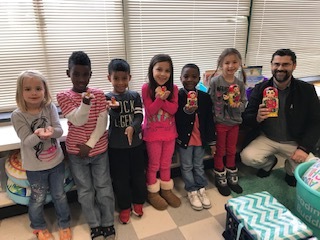 Students pictured are: Mackayla Hill, Jelani Harris, Yahir Balanzar Alcaraz, Sarah Hernandez, Mark Saunders, Hannah Truitt, and Mr Igor Gorbatovsky. 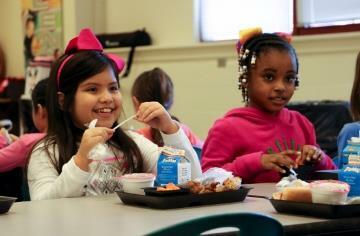 Students at eight more schools in Johnston County can now take advantage of an innovative meal program that allows them to share extra food with classmates that would otherwise be discarded. Find your child's 2018-2019 school supply list here. Kindergarten Registration for 2018-2019 Thursday, March 29, 2018 8am-6pm Parents of upcoming kindergarten children are encouraged to reserve a seat for their child for the first day of school by registering online prior to March 29th and then in person at their child’s school starting March 29, 2018.